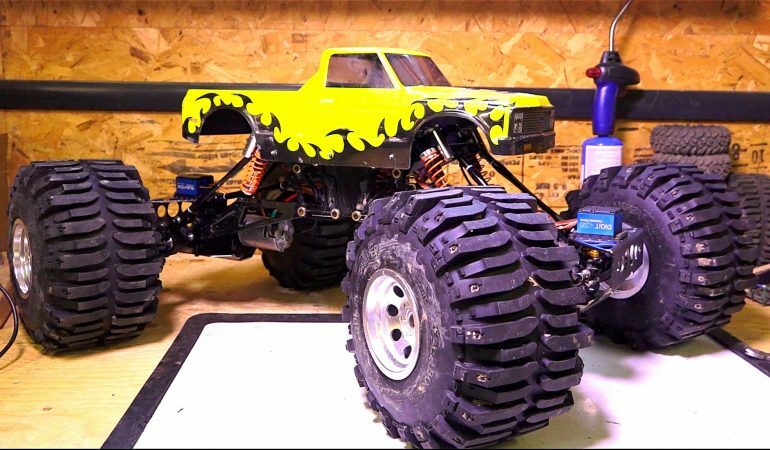 Incredible ¼ Scale Killer Krawler Is The RC Monster Truck Your Momma Warned You About! The ¼ scale Killer Krawler 2 Radio Control Mud Truck is, well, totally killer. 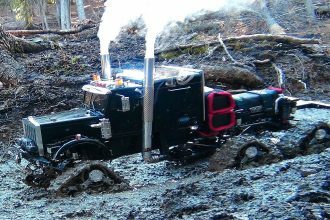 Built from the ground up by its creator and owner, the RC Killer Krawler 2 mud truck was made to be able to conquer any terrain it is pitted against. 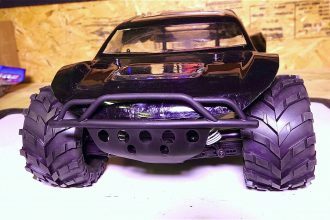 And, thanks to its massive MOA Axle that has been modified to fit its 820 series motor, remote locking differential, 1:25 gear case gear ratio, heavy duty steel gears, 8 times suspension piggyback shocks in double barrel shotgun style, and its quad cantilever system, this ¼ scale RC crawler is able to do just that!